During the month of February, we celebrate American Heart Month and work to raise awareness of the best ways to keep your heart healthy. For all of us here at my dental office in Mill Creek, there’s never been a better time to talk about the link between your oral health and heart health. The mouth is the window to whole body health. Your mouth can provide early warning signs to a variety of other whole-body problems, one of which is heart disease. Additionally, numerous studies have shown a strong link between gum disease and increased risk for heart disease. According to the Academy of General Dentistry (AGD), those who have gum disease are at increased risk for a heart attack. Many of the culprits that often contribute to heart disease are the same leading causes of gum disease, such as smoking, smokeless tobacco, and poor nutrition. Already have a history of heart problems? Your dentist in Mill Creek should be a crucial part of your health care team. With an early diagnosis and appropriate treatment of any tooth or gum infections, we can help improve not only your oral health, but your overall health as well. Research from the AGD shows the earlier any oral infections are caught and treated the better, diagnosis and treatment could even lead to a decrease in the need of blood pressure medications. If you have any of the symptoms above, please call us right away. 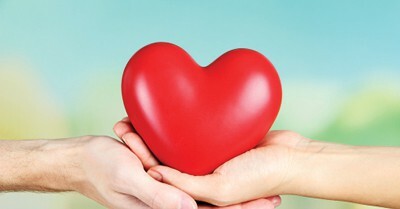 This February, put your heart first and work to keep yourself at a low risk for heart or gum disease. Quit smoking, improve your diet, and always remember to maintain regular appointments with my Mill Creek dental office. Welcoming patients from Mill Creek, Bothell, Everett, and surrounding areas.